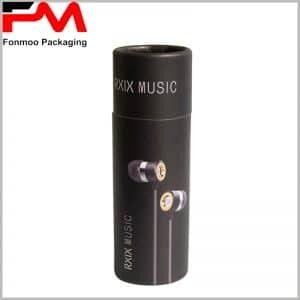 The cardboard round boxes package can be applied to a large number of electronic products styles, among which the most used is the watch packaging, which is becoming a new packaging trend and is more popular among more people. The product’s style characteristics and company information, carefully designed and presented to customers, will be enthusiastically reflected, and is the first step in the successful marketing of products and brands. Digital printing on the watch box, consumers through the packaging to understand the specific specifications of the watch, including the manufacturing process, performance, style features and uses. The visual stimuli brought about by the digital pattern and the tactile sensations brought about by the use of technics will greatly improve the packaging experience and promote sales. 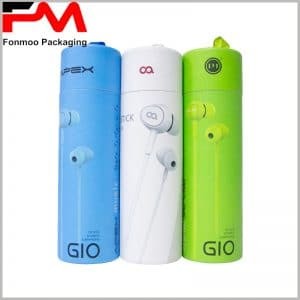 The design of the internal structure of the package will reflect the company’s overall design capabilities to a large extent, reflecting the strict control of the brand dealerfor each detail. For the smart watch tube packaging features, the internal use of black or white EVA embedded in the cardboard round boxes packaging, made the internal space separation, and play a role in fixing and protection products. You can send us your watch box packaging design document, or tell us your specific needs, we will be able to provide you with the best cardboard round boxes packaging.